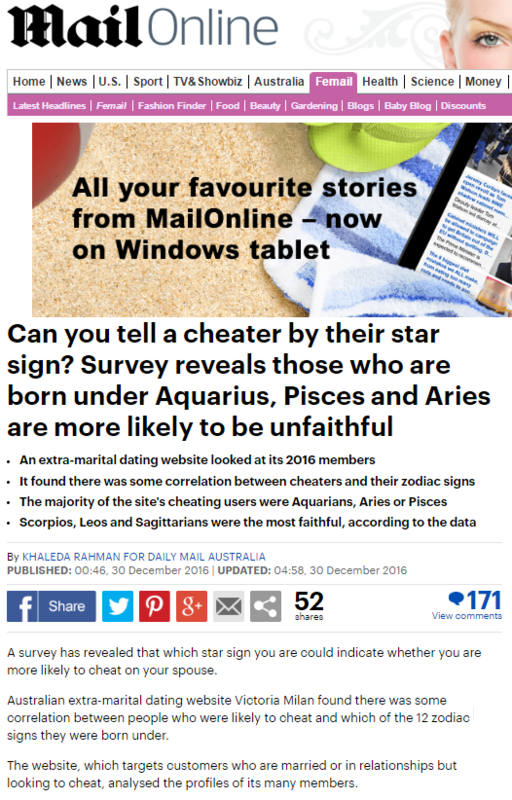 A survey has revealed that which star sign you are could indicate whether you are more likely to cheat on your spouse. Australian extra-marital dating website Victoria Milan found there was some correlation between people who were likely to cheat and which of the 12 zodiac signs they were born under. This entry was posted in Uncategorized and tagged daily mail, Khaleda Rahman, Sigurd Vedal, victoria milan on March 12, 2017 by Michael Marshall.